The proper education for cannabis will ensure that you get an advantage over your competition. The fact is not hidden that getting a position in the cannabis industry is quite tough. The competition is huge because the industry is lucrative and many people are looking to get into the industry. There are many things that people are doing these days to be able to set up a cannabis business and one of the things is getting education for cannabis. 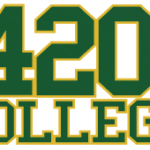 There are many schools that offer cannabis education. They offer a range of courses in a wide range of discipline. When you undertake the courses, you will be able to learn the basics of doing business within the industry and you will learn the tips and tricks of being successful. Even if you want to get into the cultivation sector, you can take up courses that teach you how to grow cannabis professionally. 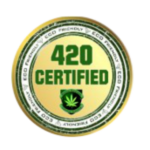 you will learn the different methods of growing cannabis, the best medium to use, the nutrients that will be needed for the proper growth of your plants, the type of growing condition that is suitable for the plants, the time required for growing and the time for harvesting and cultivation.